Being British, roast potatoes have been a staple part of my childhood. The smell of roasting potatoes takes me back to Sunday afternoons with my family where there’d be a full roast dinner on the table and my sister and I would have to fight over who got the crispiest of all the roast potatoes. 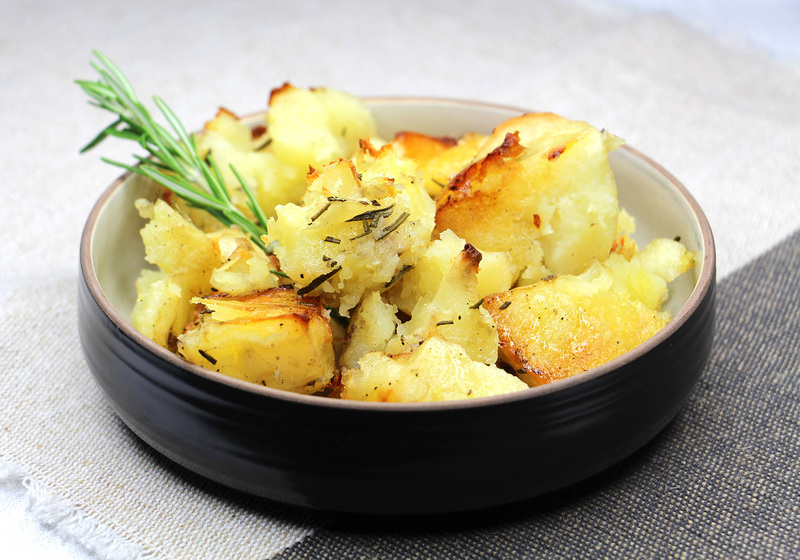 Similarly, roast potatoes are an essential dish to have during Christmas dinner. I mean, it wouldn’t be Christmas without roasties, right? All that said, there’s nothing worse than soggy, sloppy potatoes. 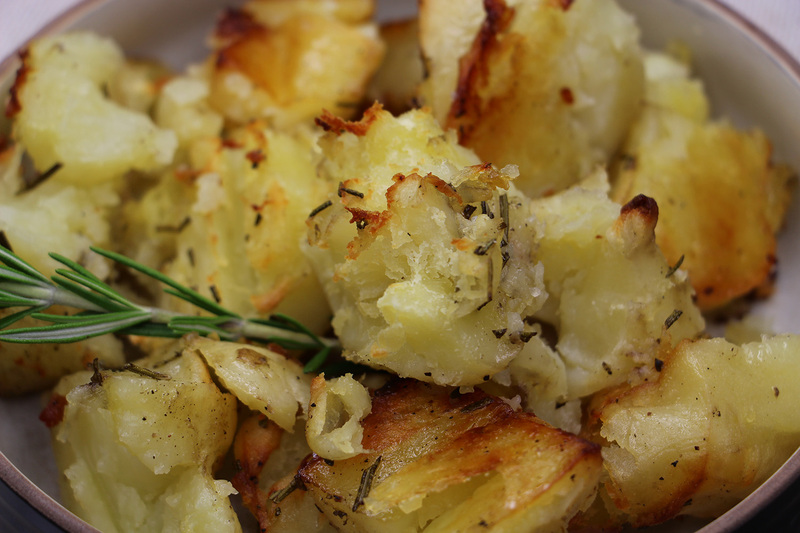 After many years of perfecting the way to cook roast potato, I’m going to share my secret (hint: it’s really simple). Don’t boil the potatoes before placing them in the oven. They should go in completely raw. When the potatoes are half-way through the cooking process, remove them from the oven and crush them down slightly with a potato masher. This makes sure they absorb the oil and become extra crispy. If you make sure you follow the two instructions above, I guarantee you that you’ll create the perfect roast potatoes every time. Preheat the oven to 400 degrees Fahrenheit / 200 Celsius. Peel the potatoes and cut them into rough 2-3 inch cubes. Add them into a large, deep baking tray. Take one of the sprigs of rosemary and pull of the leaves. Using a sharp knife, finely chop the leaves and sprinkle them into the baking tray over the cut potatoes. Add the salt, pepper and oil to the baking tray and mix everything together well using your hands. You'll want to make sure that all of the potatoes have a light coating of oil on them. Distribute the potatoes evenly within the tray (try not to stack them on top of each other), place the other sprig of rosemary into the tray and then add it to the oven. Leave in the oven for 25 minutes and then take them out. Once removed, lightly crush down the potatoes with a potato masher - this will make sure that all of the oil is absorbed into the potatoes. Now add the tray back into the oven for a further 25 minutes. Once cooked, remove the tray from the oven and leave the potatoes to sit for 2 minutes before serving out.